View my Exhibition at Colchester Maternity Wing. 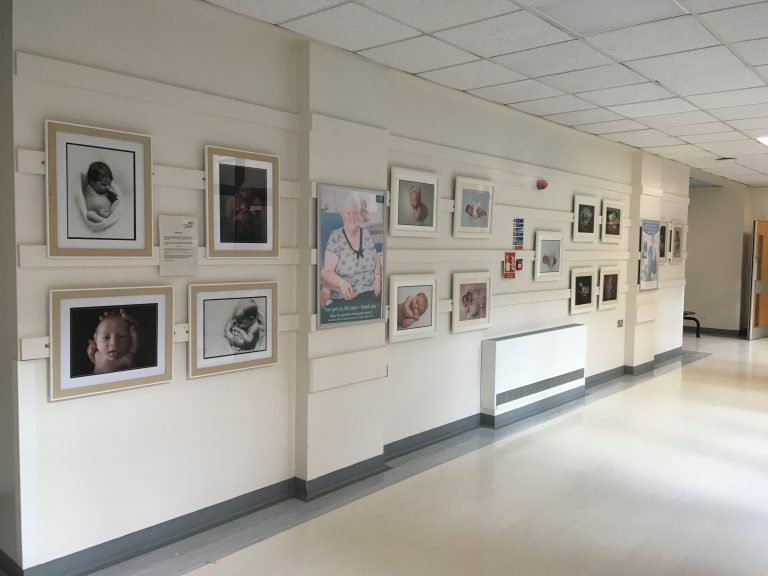 I have the great pleasure of displaying my Newborn baby photography at Colchester Hospital. In the Exhibition space within the Maternity Wing. This is a wonderful opportunity for ‘New Mums’ and ‘Mums to be’ see and get ideas for their own baby sessions. It also gives you an insight into my style of photography and what it looks like printed. The first week of your baby’s life is unique, magical and a life changing time. As newborn specialists we know how quickly your baby will change. You only get one chance to capture your baby as they are right now... and once it’s gone you can never get that time back. To learn more about our Newborn offer and how we can capture your new bundle of joys early days simply fill out the form. We look forward to hearing from you. Your newborn session will be a special milestone in your baby’s life. I want to help you tell the story of your new baby. We will create a photography session that suits you. Maternity portrait photography. This is a fun, creative experience all about bump. The sixth month sitter session is such a cute milestone. Smiles and interaction are a highlight of this session showcasing you baby individual character. We had a photo shoot with Toni when my daughter was a week old, I was quite apprehensive about it as wasn’t sure how exactly you get a tiny baby into the poses I’d seen or to be happy and content throughout! But we were absolutely amazed! I fed her whenever she needed it and it was a beautiful calm environment that she had created and I felt comfortable and able to take my time given that I was a first time mum still finding my way. Toni handled my daughter so gently and was extremely professional throughout myself and my husband felt so relaxed and at ease with what she was doing. My daughter slept throughout other than feeds in between! When we went back to view the photos I cried they were absolutely stunning and 100% what I wanted and more! I wanted every single one of them. But we chose our favourites and they are the pride of our house and our families. We are so grateful and recommend to everyone!!! Colchesters Newborn and Maternity photography specialist! Images presented in high resolution, print ready & professionally edited. To learn more about our 'Newborn session offer' and how we can capture your new bundle of joys early days simply fill out the contact form. A detailed pre-consultation with Toni to plan a display goal for your portrait session. 25-30 images carefully edited images for you to review at your ordering appointment. 2 weeks after your session, a post-session viewing & ordering appointment with Toni where she will help you design a final product or you may just purchase digital files. My name Toni Field. I am a portrait photographer and with an extensive background in Fine Art, and my genuine love of children and photography. Book a Newborn Studio Session Now on Offer!